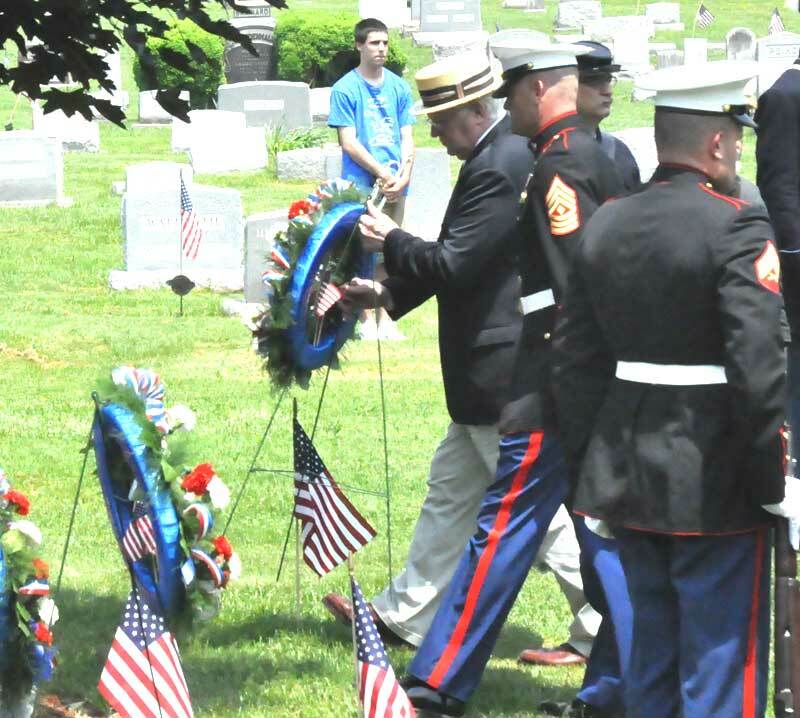 U.S. Rep. Joe Pitts (R-16) lays a wreath in honor of Memorial Day, Monday, during ceremonies at Union Hill Cemetery. 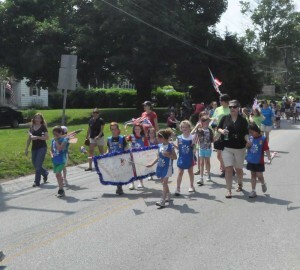 KENNETT — The high humidity and late spring heat did little to diminish a busy Kennett Memorial Day parade. Even the news that honorary Grand Marshall Sally Starr couldn’t make the ride from Kennett Square out to the Kennett-East Marlborough border, due to some minor health issues (the 88-year-old local TV icon is said to be doing well, now) didn’t put a damper on the days’ excitement, from marching bands, to all manner of military equipment and scores of military reenactors. Boy Scouts, Girl Scouts, Kennett And Unionville Little League baseball and softball players were there en masse, while local elected officials, Kennett Square Mayor Matt Fettick, State Rep. Chris Ross, State Sen. Dominic Pileggi and U.S. Rep. Joe Pitts enjoyed rides in vintage drop tops. Pitts later spoke during a moving ceremony at Union Hill Cemetery. There was literally something for everyone during the parade, from antique tractors to line of old military Jeeps as far as the eye could see. 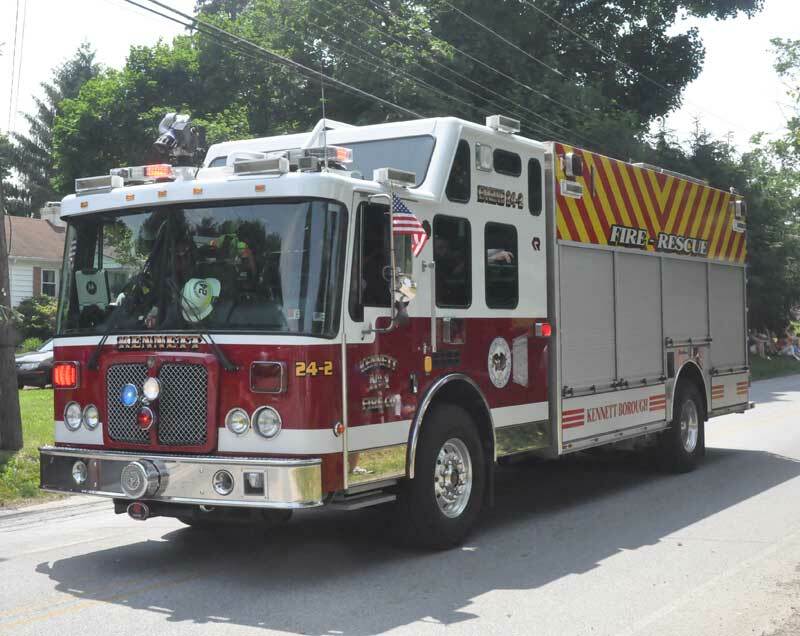 Local fire units from Kennett, Longwood and Po-Mar-Lin showed up in fine form, their units gleaming in the late spring sunshine. As usual, the event ended with solemn ceremony with the laying wreaths to honor those who lost their lives in service. Grand marshalls Anthony Basilio, Raymond Basilio, Ralph DiCarlo and Charles Leonzis were honored for their service. 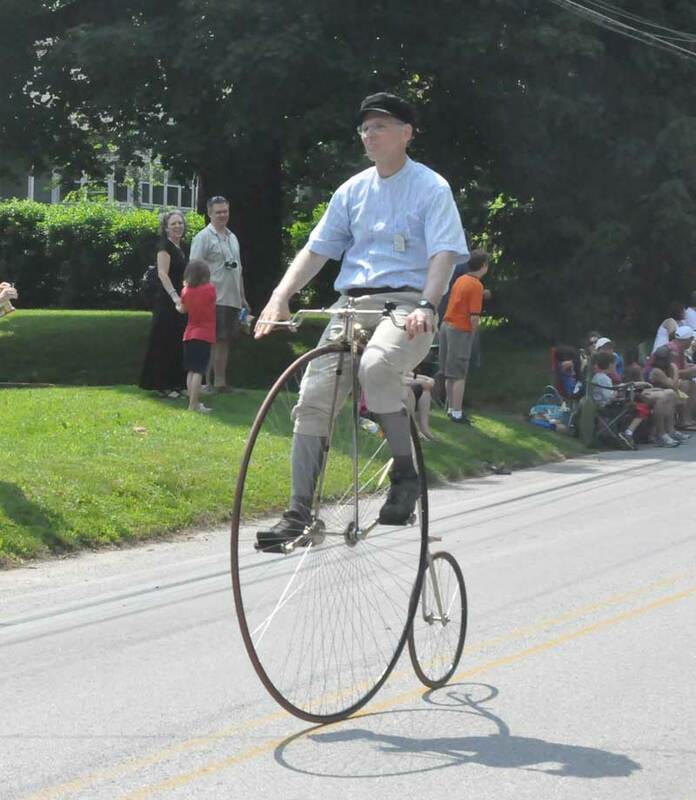 The heat began to take its toll on marchers and fans alike, as heat into the 90s with high humidity caused a few to suffer from heat exhaustion — a particular problem for those wearing old, wool military uniforms. 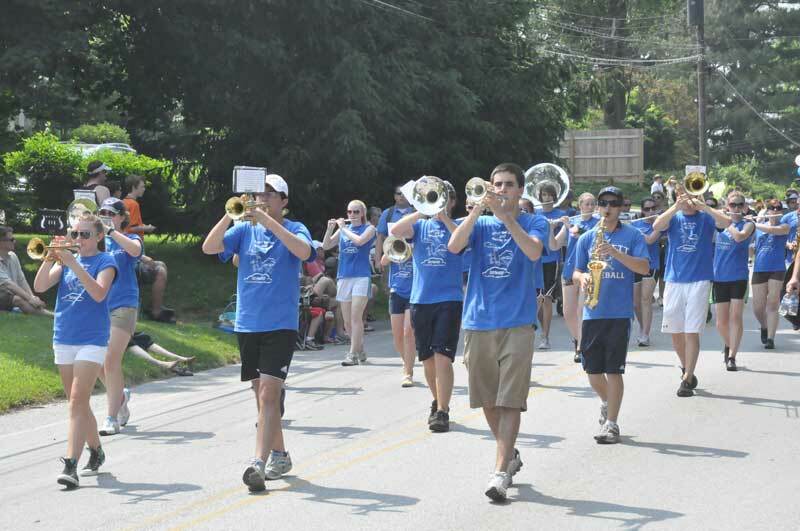 Thankfully, with a number of EMT units on hard to participate in the parade, those struck by the heat were able to get immediate medical attention. 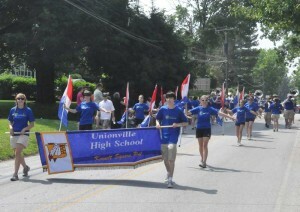 The Unionville High School Marching Band was in full force. An old fashioned bicyclist goes for a spin. 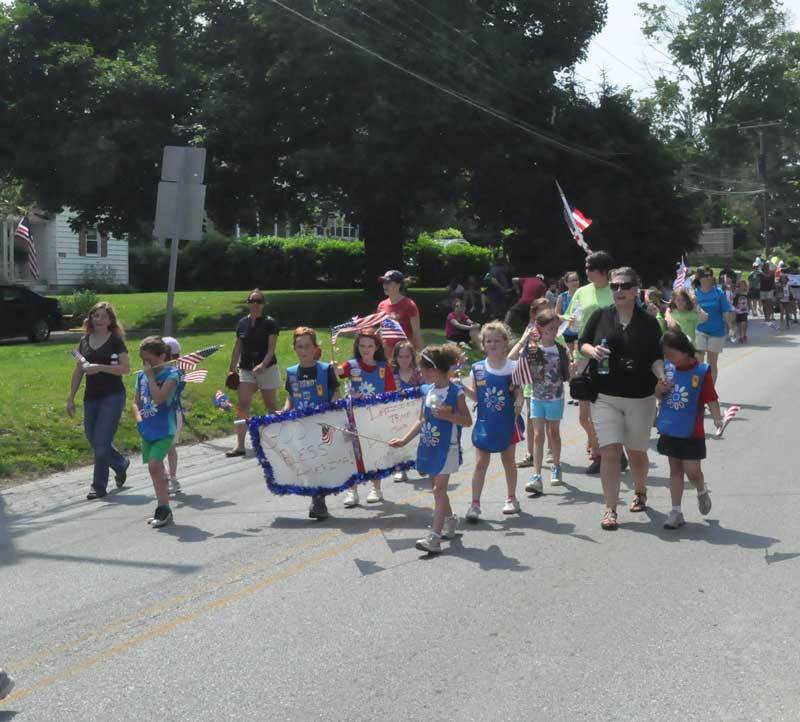 Girl Scouts from the Brandywine Valley Service Unit, which covers the Unionville and Kennett school districts, show their colors. 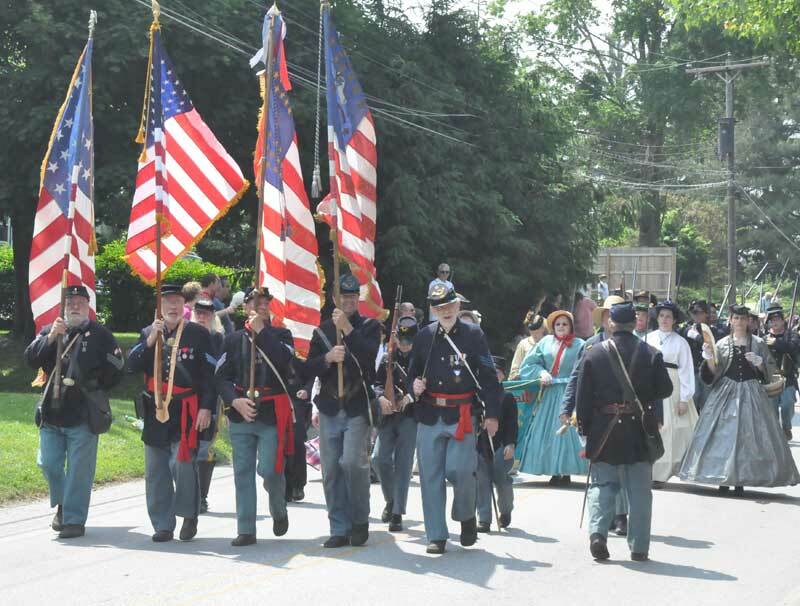 Civil War re-enactors commemorate the 150th anniversary of the war. 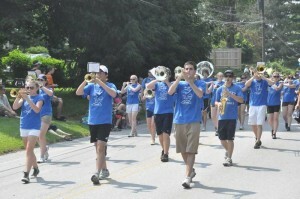 The Kennett High School Marching Band had people's toes tapping. The Kennett Fire Company had many of its units on display. 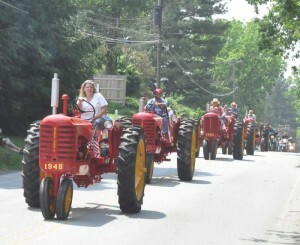 An impressive parade of antique tractors.